The end credits for the much publicised Iranian version of the Farrell Williams' "Happy Video", showed the director's name simply as "SOL". He was the only one of those involved in making the video, not to have his real name shown and was the last one who was arrested. He is also now the only one who has not been released on bail. 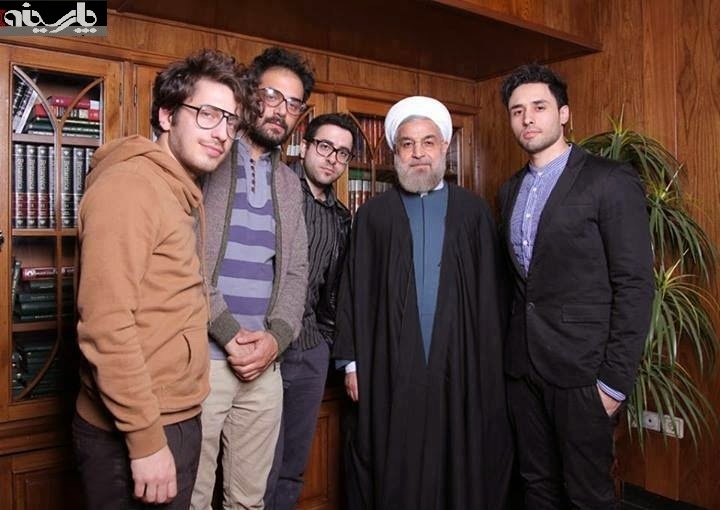 Sasan Soleimani, who was shown simply as "SOL" in the end credits of the video, was in fact actively involved in Rouhani's election campaign. 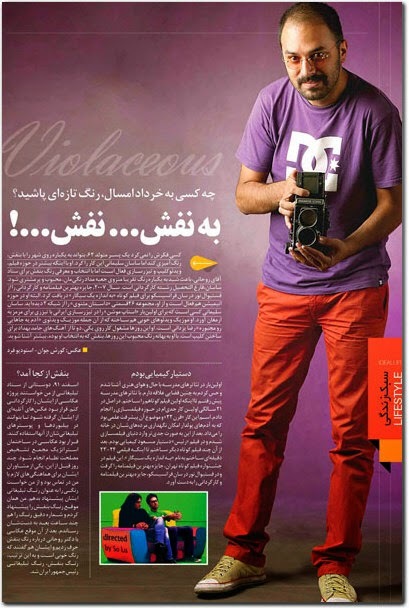 In this article published before, he says he took all the studio photos of Rouhani used for his election campaign posters and banners. Soleimani also claims that it was him, who suggested the colour violet to become Rouhani's campaign colour. Sasan Soleimani often argued with Iranian expats on the social media chats, saying they should not paint such a bleak picture of Iran and that "things are not as bad as they suggest". Perhaps some times you can not see the forest for the trees! Let's PROTEST against the London commemoration of ayatollah Khomeini that is scheduled for Sunday 8th June!!! Oh, if only now a few hundred thousand would dance toward and upon the Regime - Happily singing - "OUT!" Iranians Told to Have 5, 8, 12 or 14 Children!